The International Organization for Migration (IOM) just published their official Data Protection Manual. This report is hugely informative and should be required reading. At the same time, the 150-page report does not mention social media even once. This is perfectly understandable given IOM’s work, but there is no denying that disaster-affected communities are becoming more digitally-enabled—and thus increasingly the source of important, user-generated information. Moreover, it is difficult to ascertain exactly how to apply all of IOM’s Data Protection Principles to this new digital context and the work of the Standby Volunteer Task Force (SBTF). The Manual also states that data collectors should always put themselves in the shoes of the data subject and consider: “How would a reasonable person, in the position of data subject, react to the data collection and data processing practices?” Again, this a value judgment rather than a technical evaluation. Applying this consistently across IOM will no doubt be a challenge. 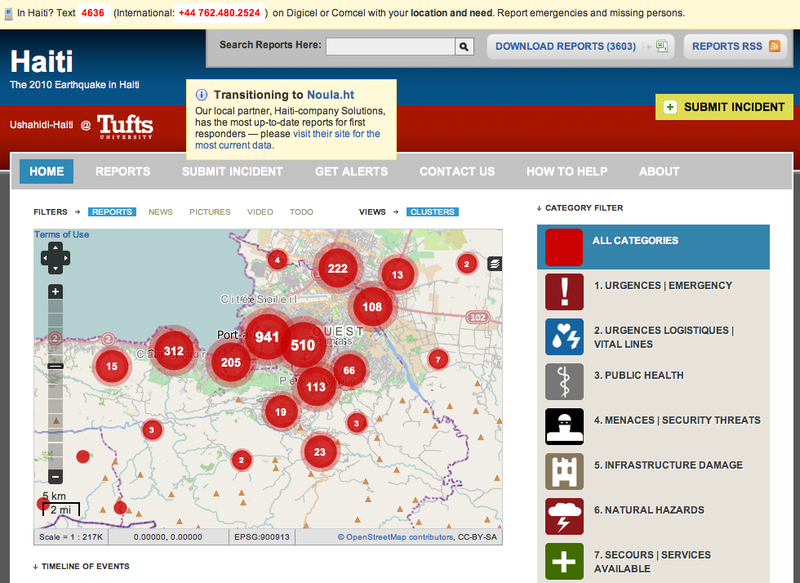 Indeed, during the Ushahidi-Haiti Crisis Mapping Project (UHP), a renowned professor and lawyer at The Fletcher School of Law and Diplomacy was consulted to determine whether or not text messages from the disaster-affected community could be added to a public map). This professor stated there was “Implicit Consent” to map these text messages. (Incidentally, experts at Harvard’s Berkman Center were also consulted on this question at the time). The first IOM principle further stipulates that “communication with data subjects should be encouraged at all stages of the data collection process.” But what if this communication poses a danger to the data subject? The manual further states that “Personal data should be collected in a safe and secure environment and data controllers should take all necessary steps to ensure that individual vulnerabilities and potential risks are not enhanced.” What if data subjects are not in a safe and secure environment but nevertheless voluntarily share potentially important information on social media channels? Perhaps the only guidance provided by IOM on this question is as follows: “Data controllers should choose the most appropriate method of data collection that will enhance efficiency and protect the confidentiality of the personal data collected.” But again, what if the data subject has already volunteer information with their personal data and placed this information in the public domain? The third principle, “Data Quality” is obviously key but the steps provided to ensure accuracy are difficult to translate within the context of crowdsourced information from the social media space. The same is true of several IOM Data Protection Principles. But some are certainly applicable with modification. Take the seventh principle on “Access and Transparency” which recommends that complaint procedures should be relatively straightforward so that data subjects can easily request to rectify or delete content previously collected from them. “Data Security”, the eighth principle, is also directly applicable. For example, data from social media could be classified according the appropriate level of sensitivity and treated accordingly. During the response to the Haiti earthquake, for example, we kept new information on the location of orphans confidential, sharing this only with trusted colleagues in the humanitarian community. “Separating personal data from non-personal data” is another procedure that can (and has) been used in crisis mapping projects. This is for me an absolutely crucial point. Depending on the situation, we need to separate information mana-gement systems that contain data with personal identifiers from crisis mapping platforms. Obviously, the former thus need to be more secure. Encryption is also proposed for data security and applicable to crisis mapping. The tenth IOM principle, i.e., “The Application of the Principles”, provides additional guidance on how to implement data protection and security. 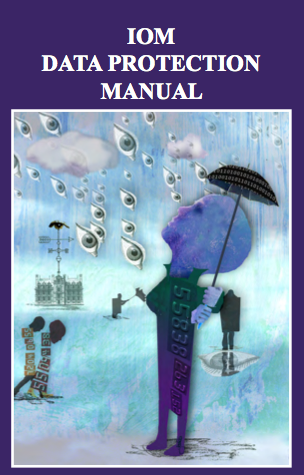 For example, the manual describes three appropriate methods for depersonalizing data: data-coding; pseudonymization; and anonymization. Each of these could be applied to crisis mapping projects. To conclude, the IOM Data Protection Manual is an important contribution and some of the principles described therein can be applied to crowdsourcing and crisis mapping. I look forward to folding these into the workflows and standard operating procedures of the SBTF (with guidance from the SBTF’s Advisory Board and other experts). There still remains a gap, however, vis-a-vis those IOM principles that are not easily customizable for the context in which the SBTF operates. There is also an issue vis-a-vis the Terms of Service of many social media platforms with respect to privacy and data protection standards. This explains why I am actively collaborating with a major humanitarian organi-zation to explore the development of appropriate data protection standards for crowdsourcing crisis information in the context of social media. Many humanitarian organizations are struggling with these exact same issues. Yes, these organizations have long had data privacy and protection protocols in place but these were designed for a world devoid of social media. One major social media company is also looking to revisit its terms of service agreements given the increasing relevance of their platform in humanitarian response. The challenge, for all, will be to strike the right balance between innovation and regulation. This entry was posted in Crisis Mapping, Crowdsourcing, Social Media and tagged data, privacy, Protection, Standards. Bookmark the permalink. Hello, a great way to improve: “Separating personal data from non-personal data” may be taken from the census practices when it comes from data collection to its processing. I think would be interesting to contact the Institutiion that manage the US census in order to gain the best practices on it; or involve it in some way.